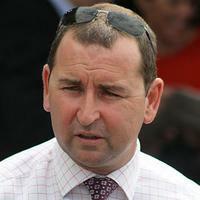 David Murphy is a young trainer with a passion and drive to make every post a winner. Like many trainers before him, David started his career as a jockey and was a star apprentice with Reg Fleming before nature took control. Increasing weight made it to difficult for him to continue so a decision was made to craft his skills as a trainer. A move to the legendary stable of Bart Cummings saw him rapidly move up the ranks to become one of Bart’s foreman’s at his Melbourne base. With a natural affinity with horses the world beckoned and an opportunity to broaden his skills arose in Dubai which he took with both hands. His local and international knowledge has become invaluable in the way he approaches his training methods and believes in having a hands-on approach when it comes to his horses. This approach has served him well and success has started to flow with the likes of Deacon, Key to Happiness and more recently Mossriver. David has earned the reputation of being an astute horseman and prides himself on the rejuvenation of many gallopers back to winning form once having joined his stable. David Murphy Racing is backed by a committed team of staff dedicated to provide the best results for their clients.